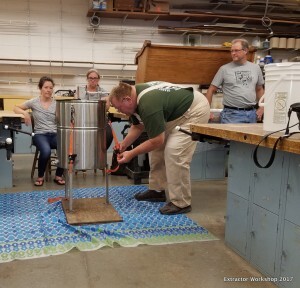 On Saturday, June 9th at 9:30 Mark Powers and Brad Kosiba will lead an open workshop to familiarize new beekeepers with the basics of honey extraction. This annual extraction workshop will be presented at Cedar Ridge High School in Hillsborough. This year OCBA will be joined by Durham County Beekeepers who will also partici­pate. 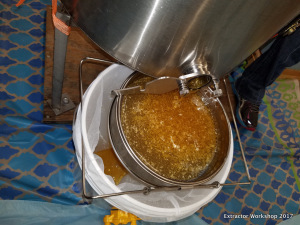 You’ve worked hard for your honey. Learn how to collect your reward.